Here’s the report on “Kent on-line” of sb Westmoreland’s return to Lower Halstow. The report also gives details of how to donate towards her restoration. Edith May reports that the Open Days at Halstow Dock over the weekend went well. They welcomed back some of their regulars to the tea room, and were pleased to meet plenty of new visitors. 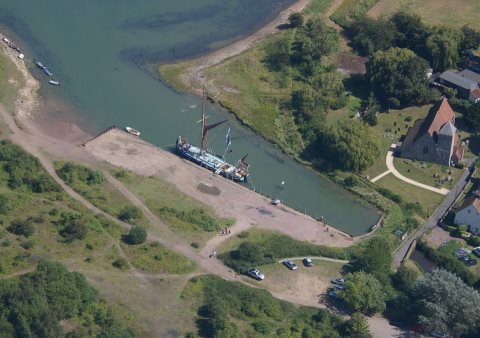 David Horobin flew over the barge on Saturday and took this great aerial shot. Of course the despicable people who stole from a barge wouldn’t know that one of the laptops contained such precious material, but any theft is distressing for the victims. We give below the message that Ed Gransden has posted, and urge everyone to spread the word. We are truly sorry to learn of the loss of these Edith May restoration photos. 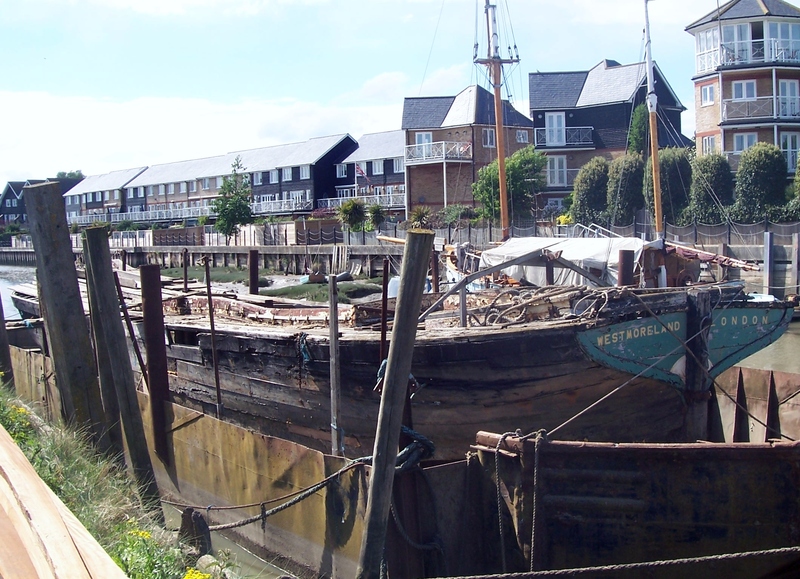 The Thames Sailing Barge Westmoreland now has her own Facebook page. Please “like” it and show support for her restoration at Lower Halstow. 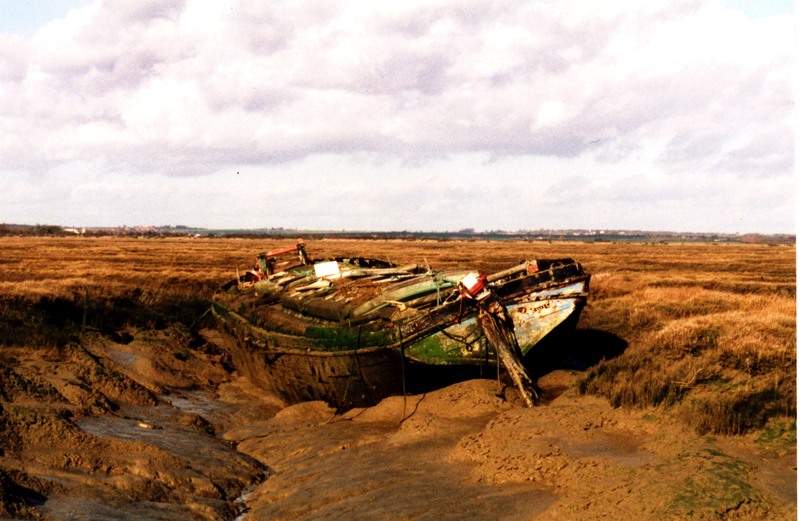 The last surviving Kent brick barge and famous racer, Westmoreland has lain derelict for 40 years. A Heritage Lottery Bid is now underway to save her. Dave Brooks has started a thread on the Lower Halstow parish website, urging the Council to allow Westmoreland to return home. The more comments we can generate, the more it will send a message to the Council.